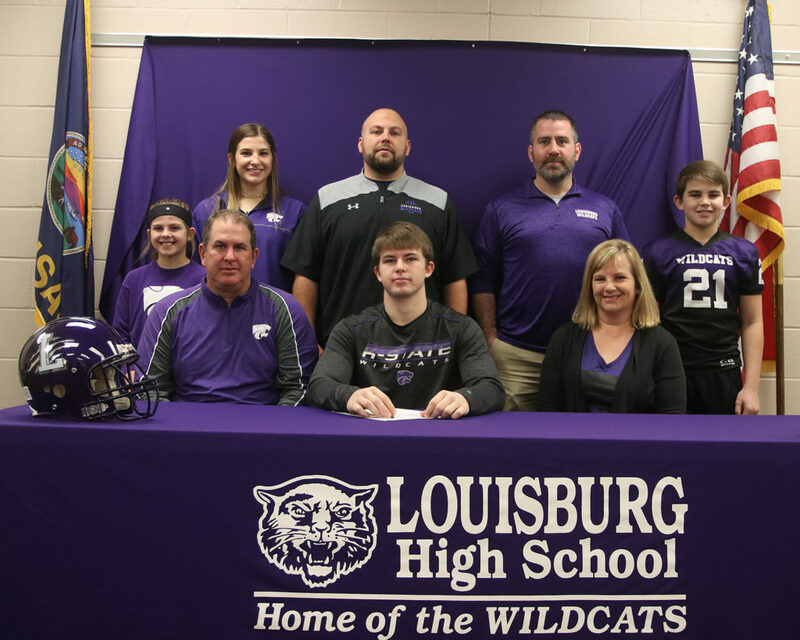 Louisburg senior Blue Caplinger, who earned first-team all-league defensive honors last season, is excited for his new challenge after he recently signed with Benedictine College. positions during his time with the Louisburg football team. 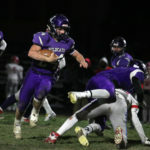 Caplinger saw some time at quarterback, was used as a blocking back – and then for his senior year – had some snaps at running back. However, the place where he felt right at home was at safety. new place to bring the pain. letter of intent to play at Benedictine College next season. Benedictine is coming off one of the best seasons in its program’s history as the Ravens advanced to the NAIA National Championship game and finished second in the nation. coach and has won more than 250 games during that span. 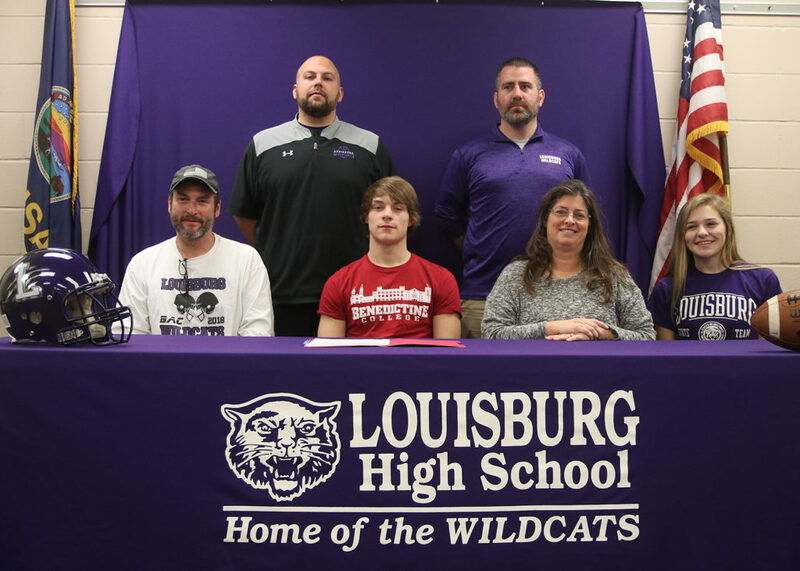 Louisburg senior Blue Caplinger recently signed his letter of intent to play football at Benedictine. Sitting next to Blue are his parents Wade and Sirena Caplinger and his sister, Toni. Standing (from left) is Louisburg head football coach Robert Ebenstein and head wrestling coach Bobby Bovaird. “In a way, their success played a part in my decision,” Caplinger said. 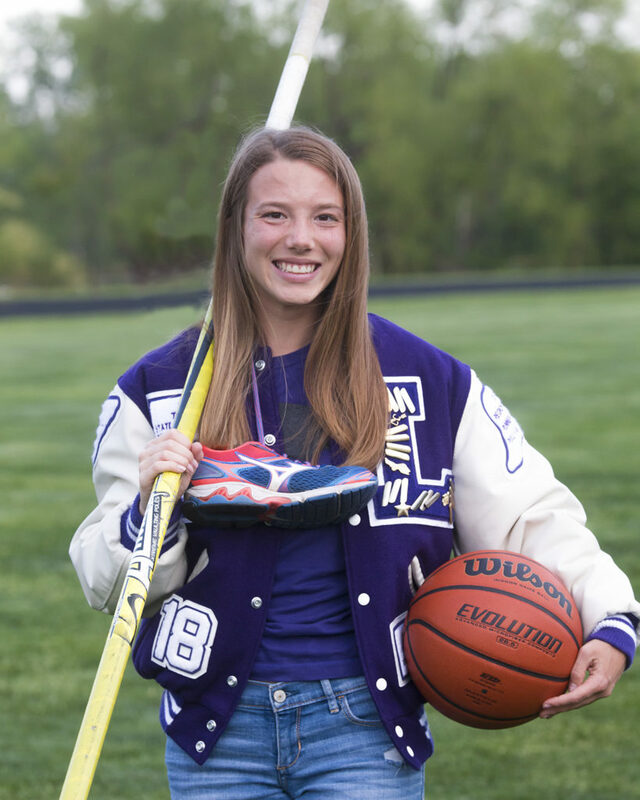 “I was looking at Baker too, and they are both really good programs, and both have had a lot of success, but Benedictine was a great option for me and it was hard to pass up. 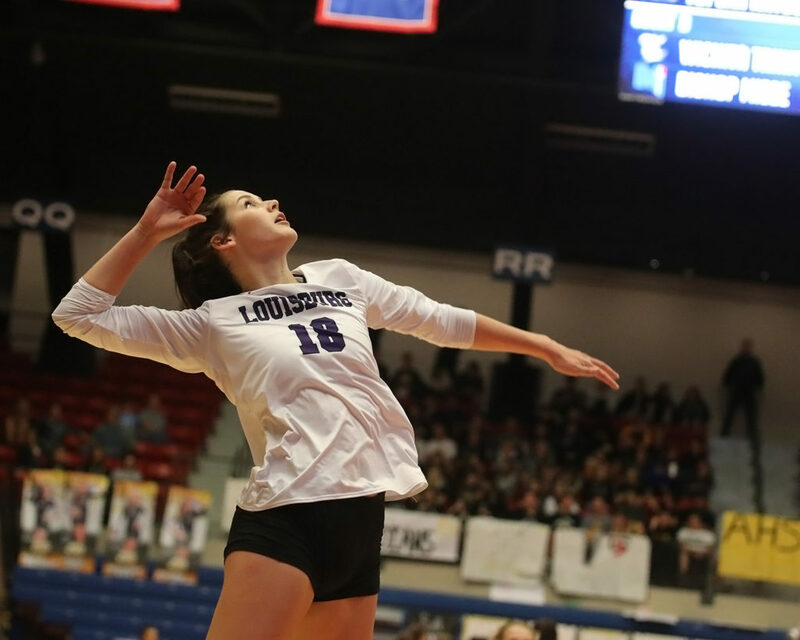 Caplinger was a key figure in a Wildcat defense that helped Louisburg to a 10-1 finish and a regional championship this past season. From his safety spot, he finished with 31 tackles, two for a loss, two fumble recoveries and an interception. 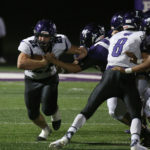 That performance helped him earn first-team All-Frontier League honors on defense and Caplinger was also a second team selection at running back after racking up 544 total yards and six touchdowns. It’s his experience with the Wildcat football program that helped him mature as a player and get ready for the collegiate level. college football at one of the NAIA’s best programs. 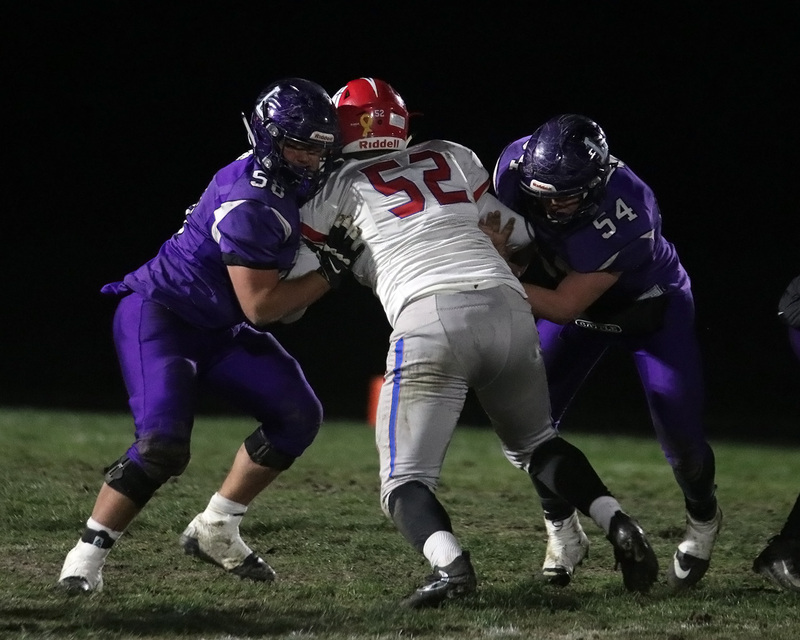 Louisburg senior Jonathan DePriest was a big part of the Wildcat offensive line this past season and hopes to do the same next season at Ottawa University. one of the best comebacks in K-State history in 1999. His grandfather, J.D. the assistant director of player personnel before that. football team this past season. the Wildcats, but his football career is far from over. 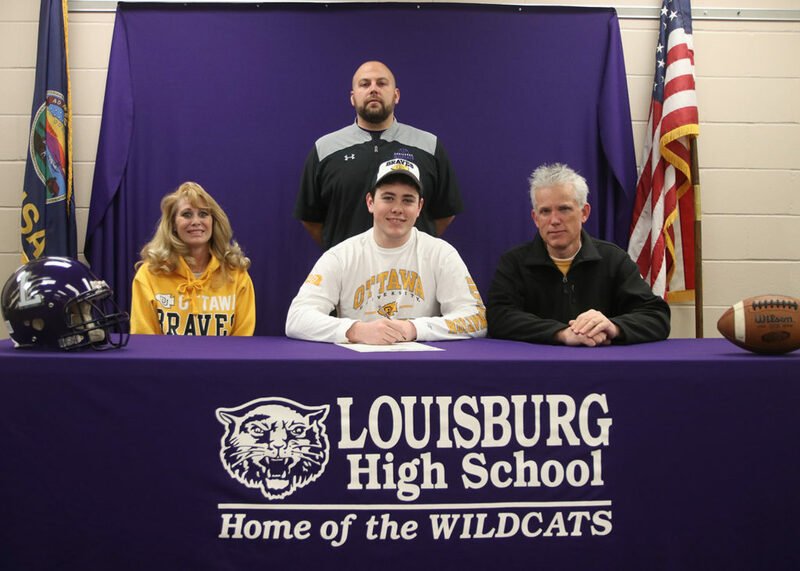 DePriest made it official on Feb.
football for Ottawa University as an offensive lineman for the Braves. he has won four KCAC titles. Louisburg senior Jonathan DePriest signed his letter of intent on Feb. 6 to play football at Ottawa next season. Sitting next to Jonathan are his parents Heather and Greg DePriest and standing is Louisburg head coach Robert Ebenstein. to a successful season in 2018 that ended with a No. 20 national ranking. and the athletic facilities are state of the art. him for what to expect. and he hopes to be a big part of it. 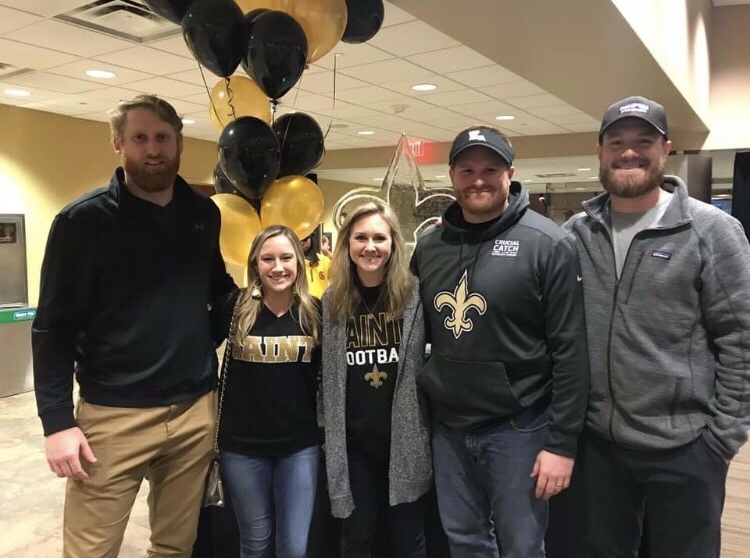 Louisburg senior Kiefer Tucker, who earned first-team all-league honors last season, is excited for his opportunity with the Emporia State football team. moment and time when he fell in love with football – at soccer practice. around and noticed some other kids at a flag football practice. As it turned out, that day put Tucker on a course that would eventually give him the opportunity to play the sport he loves on a high level. During a signing ceremony on Feb.
fit in college. It didn’t take long for Tucker to find it with the Hornets. going to be the right landing spot for him. important than anything,” Tucker said. “Right when they said that, I was sold. 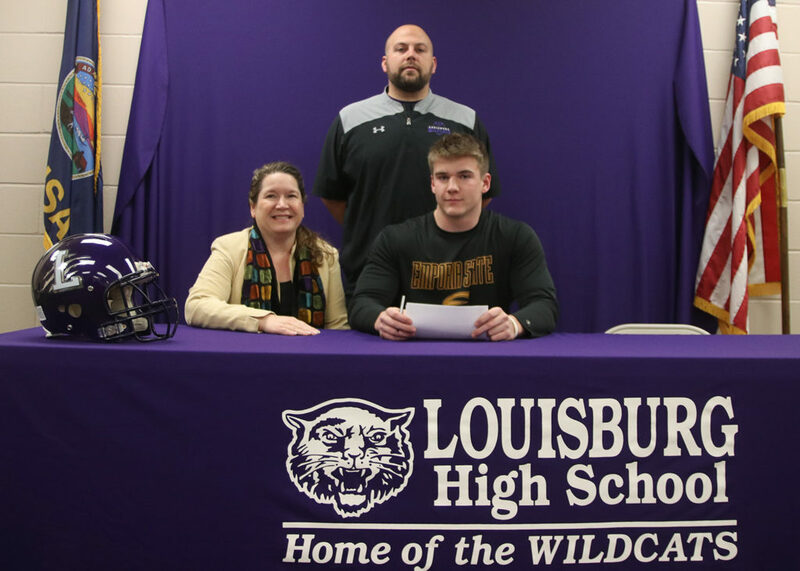 LHS senior Kiefer Tucker signed his letter of intent with Emporia State on Feb. 6 to play football next season. Sitting next to Tucker is his mother Debbie Hardy and standing is Louisburg head football coach Robert Ebenstein. Not pictured is Kiefer’s father, David Tucker. Tucker will line up on the defensive side of the ball for Emporia State and he expects to play a little different position in college. 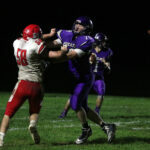 Tucker, who lined up at defensive end for Louisburg, will do some of the same at Emporia, but the coaches also see him as a walk-up linebacker in certain situations as well. three forced fumbles, a fumble recovery and a sack. an all-state selection as well. Despite his success in high school, Tucker knows it is going to take him awhile to get acclimated to the college level. young life rooting on the crimson and blue of the University of Kansas. raised a Jayhawk fan and had visions of maybe one day playing in Lawrence. wanted to make sure to let Moore know they were still interested. made it official, and Moore felt comfortable with his decision. the other younger kids they signed. roster this summer as he prepares for his journey to Manhattan. did the same. For some, it was a play that happened in slow motion. 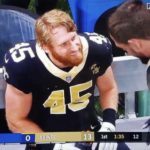 he got close the sideline, he turned and looked toward Brees. way to the NFC Championship game the following week. the team’s only tight ends for much of the contest. in the first quarter, it was Griffin’s time to shine. and found Griffin who went on his knees to scoop up the 5-yard touchdown pass. The touchdown was his first in the NFL and was just his second career catch. interested in one thing – keeping the ball. he never got his ball back. play in his first NFC Championship and he didn’t disappoint them. too often, but it was an emotional minute for all of us for sure. road for Garrett to get to this moment. interest out of high school. step and he capitalized in the biggest moment. wondering who exactly No. 45 was. able to try and play in the NFL. He was lucky. throughout the whole process, even when he got put back on the practice squad. people took to social media to congratulate their hometown boy. 57-yard field goal in overtime. final play of the game. the Patriots. Both games were pretty intense. Garrett had accomplished just a couple hours earlier. awesome and it really means a lot. guarantees him a spot in training camp. agent. Instead, the Saints showed faith in him with the multi-year deal. chart next season and he is excited about the opportunity. draft or free agency, but I feel like I know the system and that will help me. 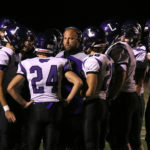 Louisburg head football coach Robert Ebenstein was recently named the Class 4A Coach of the Year by the Kansas Football Coaches Association. Ebenstein just finished his second year as head coach and led the Wildcats to a Frontier League title and a regional championship. 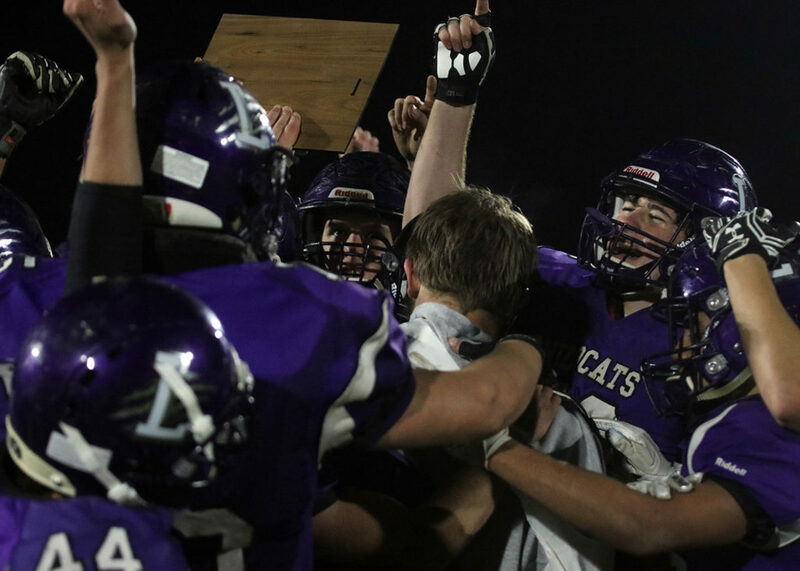 The Louisburg High School football team had one of the better seasons in its history as the Wildcats won their first 10 games of the season and finished with a regional championship. It only makes the sense that several of the Wildcat players and coaches are receiving postseason recognition. 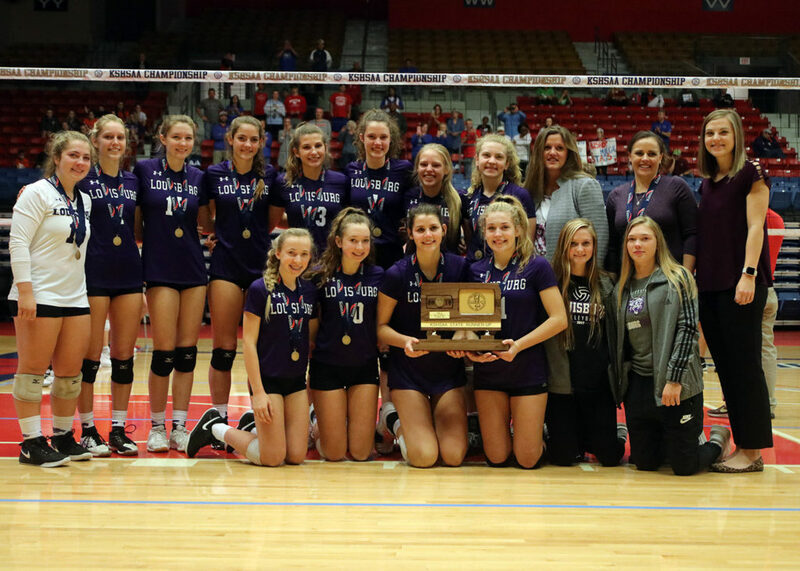 The latest came from the Kansas Football Coaches Association as Louisburg head coach Robert Ebenstein was named Class 4A Coach of the Year. 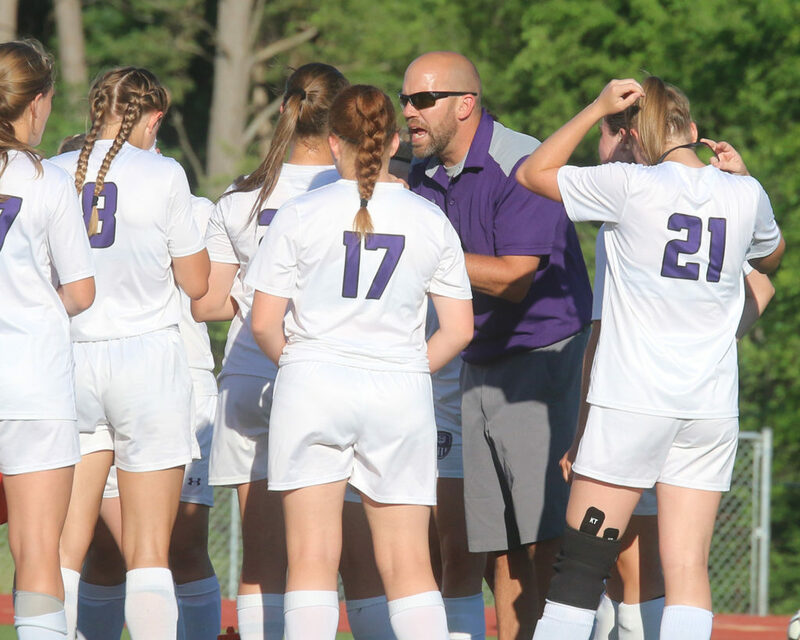 Ebenstein, who is just in his second season as head coach, has a 16-4 record with the Wildcats as he guided his team to a Frontier League championship this year. “To be named coach of the year is an honor for sure,” Ebenstein said. “Many guys coach for years and never get that, but to be honest this award is a just a reflection of the assistant coaches we have and the commitment these players give to this program. 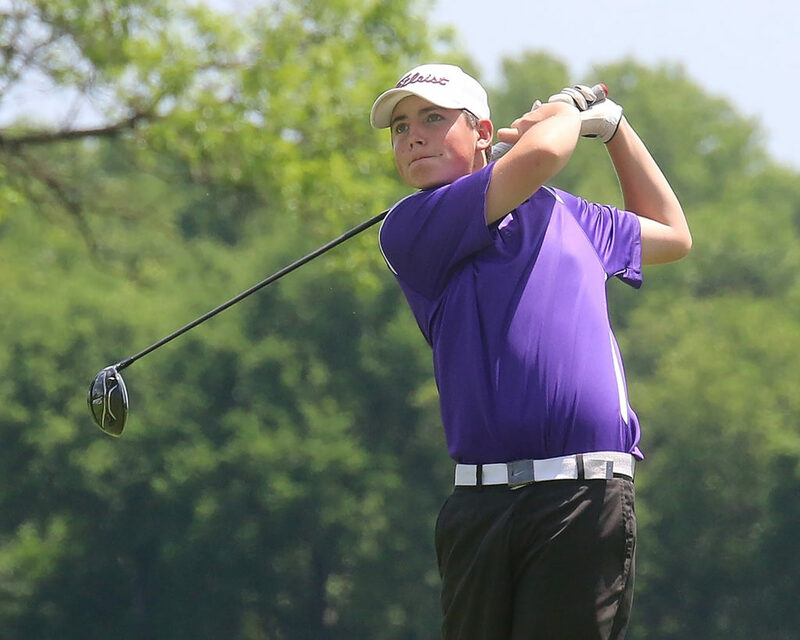 Senior Austin Moore was named as a first-team all-state player by several publications. 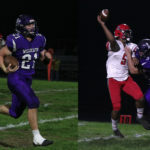 Seniors Austin Moore and Kiefer Tucker joined Ebenstein on the KFCA all-state team as both players were named to the first team all-state offense on the senior-only list. Moore tallied 1,554 total yards, with 1,428 yards of those on the ground at the running back spot and also had 21 touchdowns, while Tucker, played guard on the offensive line was a big part of a lot of those yards. Junior lineman Brayden White earned first team all-state honors and was also named to the All-Simone second team. Junior lineman Brayden White and Moore were also recognized as some of the top players in the Kansas City area. Moore was a semifinalist for the Small-Class Players of the Year when the annual Simone Awards were announced. The Simone Awards recognize some of the best players in the Kansas City area on both sides of the state line. White was also a semifinalist for the Bobby Bell Award, which is for the best small-class lineman or linebacker. He was also named to the All-Simone second team as an offensive lineman. Seniors Blue Caplinger (left) and Kiefer Tucker were honorable mention all-state selections. Tucker was also named to the first team all-state list by the Kansas Football Coaches Association. If that wasn’t enough, both Moore and White were named to the Class 4A All-State first team by both the Topeka Capital-Journal and the Wichita Eagle. Wildcat teammates Blue Caplinger and Tucker were both recognized as honorable mention all-state players. Louisburg seniors Austin Moore (left) and Kiefer Tucker were both awarded first team All-Frontier League honors on each side of the ball. The Wildcats were awarded 16 slots on the team. 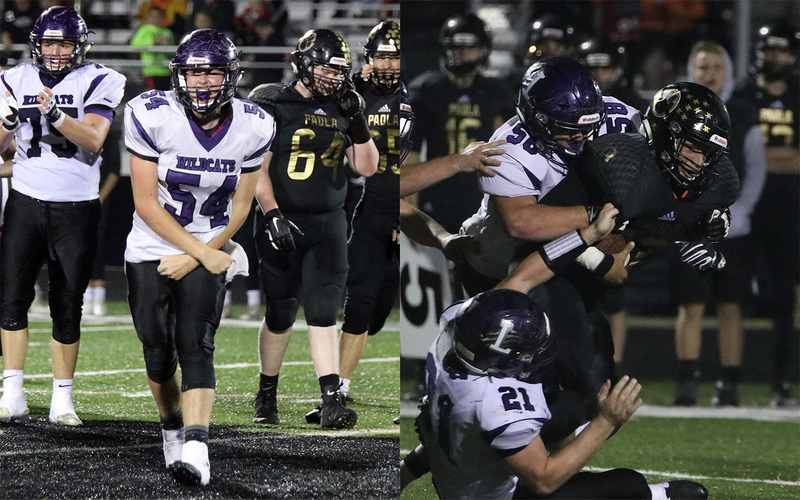 The Louisburg football team reached several milestones this season, including winning its first 10 games for the first time since 2010 and was only the third Wildcat team to reach double-digit wins since 2000. 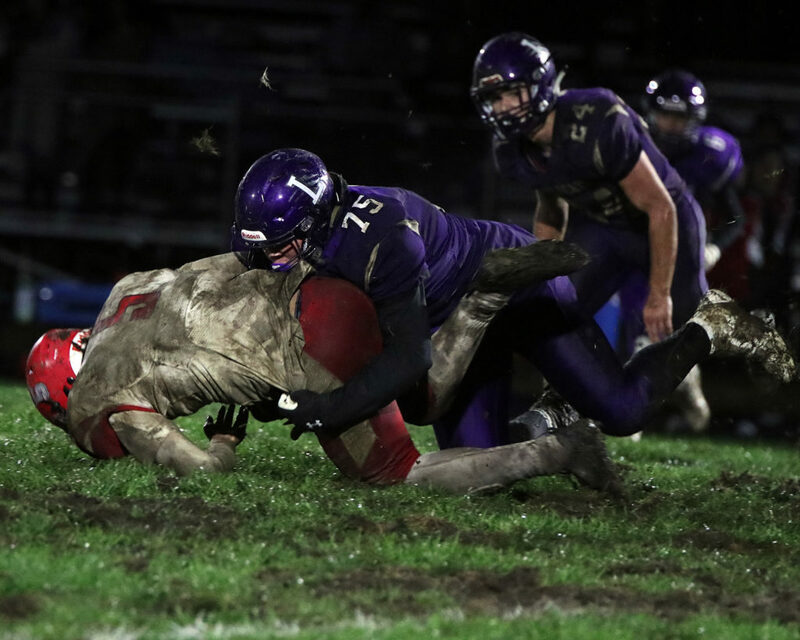 Throw in the fact the Wildcats also won their first Frontier League title in eight years and captured a regional championship, it was a year to remember for Louisburg football. With all that success, the individual honors are starting to roll in. All-Frontier League teams were recently released and the Wildcats were awarded 16 slots overall, including eight on each side of the ball. 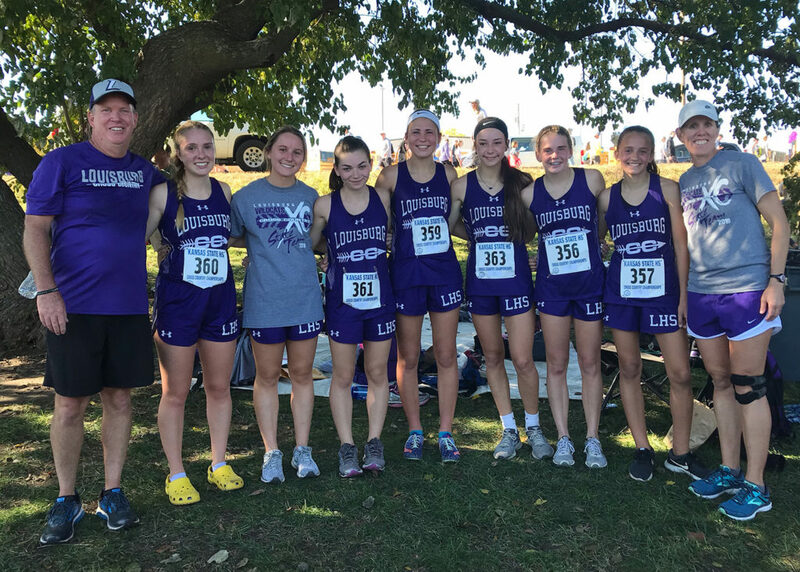 “Overall I was very happy with how we were represented,” Louisburg coach Robert Ebenstein said. Seniors Austin Moore and Kiefer Tucker led the Wildcats as the two players were first team selections on offense and defense. Moore was named a first-team running back and linebacker, while Tucker earned first team honors on the offensive and defensive lines. Offensively, senior Brayden Gage (wide receiver) and junior Brayden White (line) were named to the first team. Junior Madden Rutherford (quarterback) and senior Blue Caplinger (multi-purpose player) were second team selections. (From left) Brayden White, Blue Caplinger and Brayden Gage were each selected to the All-Frontier League first team. Caplinger (defensive back) was also named to the all-league first team defense, as was Rutherford (punter). White (line) and junior Charlie Koontz (linebacker) were second team selections. Senior Noah Larson and junior Garrett Harding earned honorable mention honors as linemen on both sides of the ball. Moore had a big season for the Wildcats, prior to breaking his collarbone in the next to last game of the year. He led Louisburg in tackles with 83 and had seven tackles for a loss, three sacks, two forced fumbles, a fumble recovery and an interception. Offensively, he tallied 1,554 total yards, with 1,428 yards of those on the ground and also had 21 touchdowns. He was also the leading point-getter in the all-league voting on both sides of the ball. Tucker was among the leaders on the line scrimmage for the Wildcats as he helped pave the way for more than 3,500 yards of total offense. Defensively, Tucker was a force from his defensive end position as he recorded 55 tackles, three tackles for a loss, three forced fumbles, a fumble recovery and a sack. Madden Rutherford (left) and Charlie Koontz were each named to the all-league second team. Rutherford was also a first team selection at punter. White, along with Tucker, Larson and Harding, played vital roles on the Louisburg offensive and defensive lines. White was among the league’s best offensive tackles and also played well on the defensive line with 51 tackles, a forced fumble and a sack. 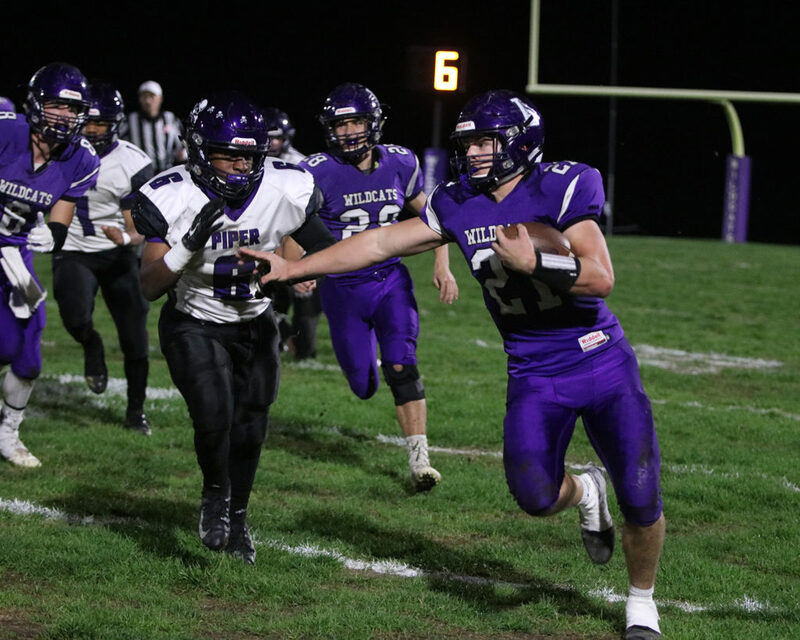 Gage, who split time at wide receiver and running back, earned first team wide receiver honors as he led the Wildcats with 283 yards receiving with three touchdowns. He also had 258 yards on the ground and two touchdowns. Caplinger had a big season on both sides of the ball as he had 310 yards on the ground and four touchdowns. He also had 234 yards receiving and two touchdowns. Defensively, Caplinger had 31 tackles from the safety spot and also had two tackles for a loss, two fumble recoveries and an interception. Noah Larson (left) and Garrett Harding were each named as all-league honorable mentions on both sides of the ball. Rutherford was just edged out of the first team quarterback spot, despite throwing for 1,100 yards and 14 touchdowns. He also rushed for 354 yards and had four touchdowns on the ground and had one more score receiving. Koontz had a good year from the linebacker spot as he recorded 50 tackles, including six for a loss. He also had three fumble recoveries and a sack that helped him earn second team honors. Larson and Harding also had good seasons on the Wildcat defensive line. Larson had 43 tackles, two sacks, two forced fumbles and a fumble recovery. As for Harding, he had 34 tackles despite missing three games due to an injury at the defensive tackle spot. 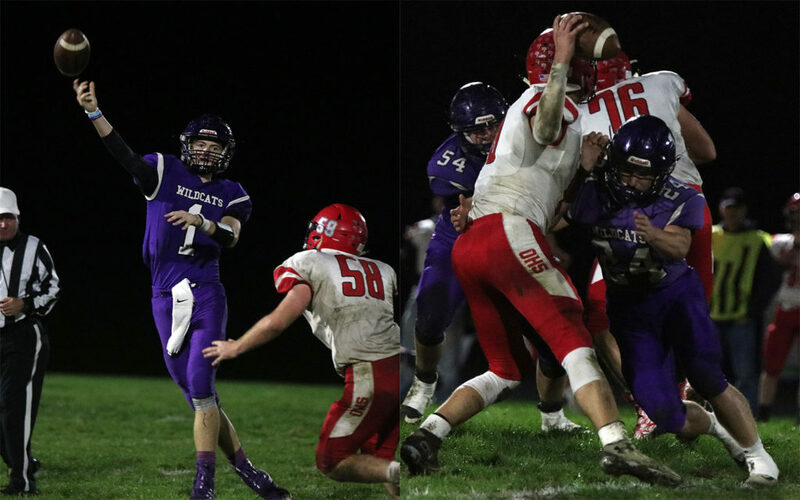 Louisburg junior Charlie Koontz gets a block from teammate Josh Casey as he was able to score one of the Wildcats’ three second half touchdowns in their 55-21 loss to Bishop Miege on Friday in the Class 4A sectional playoffs. 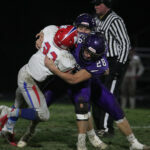 As the Louisburg football players walked off the field last Friday night following their sectional playoff game with Bishop Miege, the Wildcats felt something they hadn’t experienced this year. 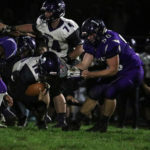 It came at the hands of the four-time defending state champion Stags, who made things difficult on the Wildcats from the start and didn’t let up, as Louisburg fell 55-21 at Wildcat Stadium. 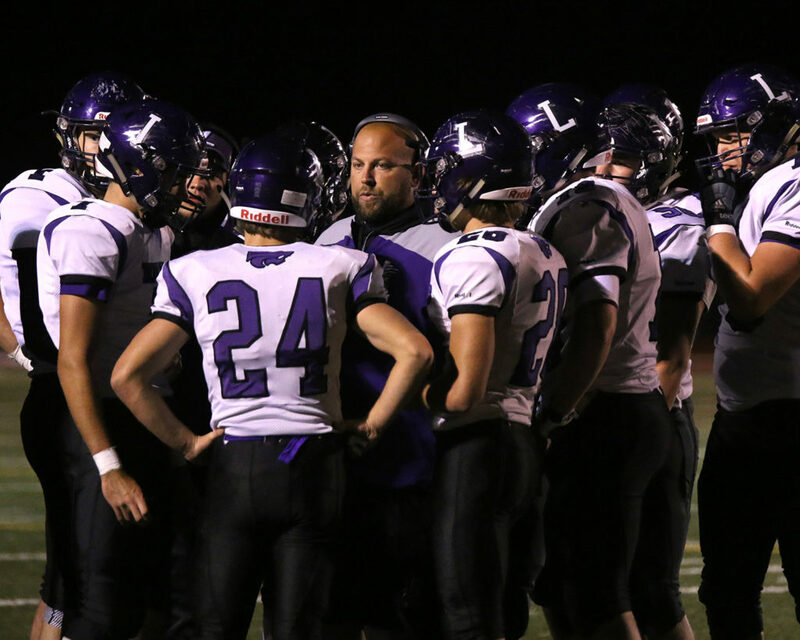 The Wildcats finished their season with a 10-1 record, a Frontier League championship and a regional championship. Still, the fact that their season is over is hard feeling for the Louisburg players to shake. On a frigid night that featured a slick and hard Wildcat Stadium field, both teams battled tough field conditions and it affected the Stags early as they mishandled several snaps. 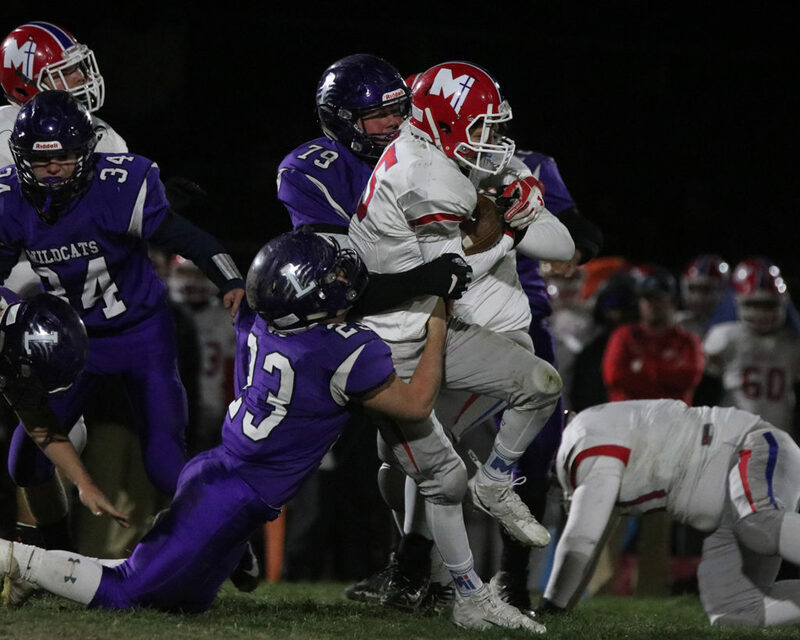 Louisburg was able to force Miege into third, and fourth and long situations, but the Stags converted several big plays to get out of it. Bishop Miege scored 27 first quarter points, with three of those touchdowns coming on passes of more than 30 yards. The Stags added two more scores in the second quarter and jumped out to a 41-0 halftime lead. Junior Garrett Harding (left) and senior Noah Larson team up for a block Friday against Bishop Miege. “They have big time play makers all over the field, and their offensive line was able to give time in the pocket and they just made those plays,” Ebenstein said. The Stags had two losses on the season coming into the game, but those were against the No. 1 team in 5A in St. Thomas Aquinas and a perennial power in Missouri, Rockhurst. They also play in a 5A and 6A dominated league throughout the season. Miege has since feasted on Class 4A opponents when its gets to the playoffs, and the talent discrepancy made it difficult for the Wildcats to overcome. Despite freezing cold temperatures and a large halftime deficit, the Wildcats didn’t give up and played hard in the second half. In the third quarter, senior Blue Caplinger scooped up a Miege fumble and returned it 67 yards for a touchdown to get Louisburg on the board. 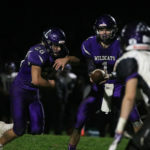 The Wildcats added two more scores in the fourth quarter as junior Charlie Koontz broke free for a 21-yard touchdown run and then senior Brayden Gage returned a kickoff 77 yards for the Wildcats’ final touchdown. Seniors Brian Houck (23) and Jonathan DePriest bring down a Miege runner Friday at Wildcat Stadium. It was a special season that saw the Wildcats win 10 straight games for the first time since 2010 and they also came away with a pair of championships. Despite all that, it was tough to say goodbye to a year that brought many great memories. Add in the fact that 18 seniors played their final football game at Wildcat Stadium, it was an emotional ending. TACKLES: Charlie Koontz 11, Brayden Gage 8, Jorge Lebron 5, Brian Houck 5, Ben Wiedenmann 4, Kiefer Tucker 5, Brayden White 4, Beckett Rasmussen 3, Blue Caplinger 3, Tanner Belcher 3, Noah Larson 2, James Foote 2, Hunter Day 2, Jonathan DePriest 2, Gabe Rader 1, Dylan Knipp 1, Garrett Harding 1. Louisburg quarterback Madden Rutherford hands the ball off to senior Blue Caplinger during the Wildcats’ win over Piper last week. Louisburg will host defending state champion Bishop Miege tonight in the Class 4A sectional playoffs. The Louisburg football team enters today’s sectional playoff game with Bishop Miege as the No. 1 seed on the east side of the state and currently boasts a 10-0 record on the season. Despite all that, the Wildcats are a heavy underdog. Bishop Miege, the No. 1-ranked team in Class 4A, has won the last four state championships and has dominated 4A in the last decade, including a 76-8 win over Labette County and a 49-20 victory over Pittsburg so far in the playoffs. Last season, the Stags outscored their playoff opponents 230-60. The Stags’ only losses this season have come to the No. 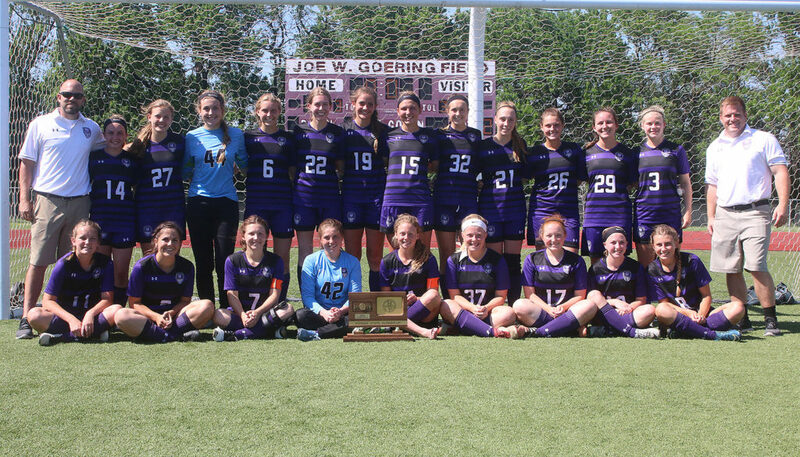 1 team in Class 5A, St. Thomas Aquinas, and Missouri power, Rockhurst High School. Despite all that, the Wildcats are excited for the opportunity to play one of the state’s best teams on their home field. Kickoff for tonight’s game is set for 7 p.m., in the sectional round of the playoffs. The winner of this game will meet the winner of Paola and Basehor-Linwood for the sub-state title. The Wildcats have put together a dominant season of its own as they have outscored their two playoff opponents, Ottawa and Piper, 104-8 the last two games. The Wildcats will have to account for a lot of weapons with the Bishop Miege offense and come up with their best performance of the season defensively. Stag quarterback Sam Pedrotti leads the way with more than 1,700 yards passing and 19 touchdowns. Receivers Phillippe Wesley and Hudson Bentley each have more than 600 yards receiving and seven and five touchdowns, respectively. Running back Brison Cobbins is another weapon for the Stags with nearly 1,000 yards on the ground and 16 touchdowns. The Stags also have a big offensive line that the Wildcat defensive front is going to have to deal with. Defensively, Miege linebacker Dylan Downing is one of the best players in the state with 100 tackles on the season, including 10 for a loss. Defensive lineman Jalen Williams is also a big factor with 17 tackles for a loss and a team-high 11 sacks. Louisburg realizes Miege will be the toughest team it has faced all season and it will be playing at a disadvantage at times. “When you watch them on film, they are just solid all around,” Ebenstein said. “They have good schemes and amazing athletes all over the field. Every one of their players only play one side of the football and they never look tired. When a starter does go out, the person who replaces them never seems to be a downgrade. The Wildcats will also be without their leading rusher and tackler, Austin Moore, who was injured last week with a broken collarbone. Sophomore Ben Wiedenmann will fill in at running back and linebacker for Moore. 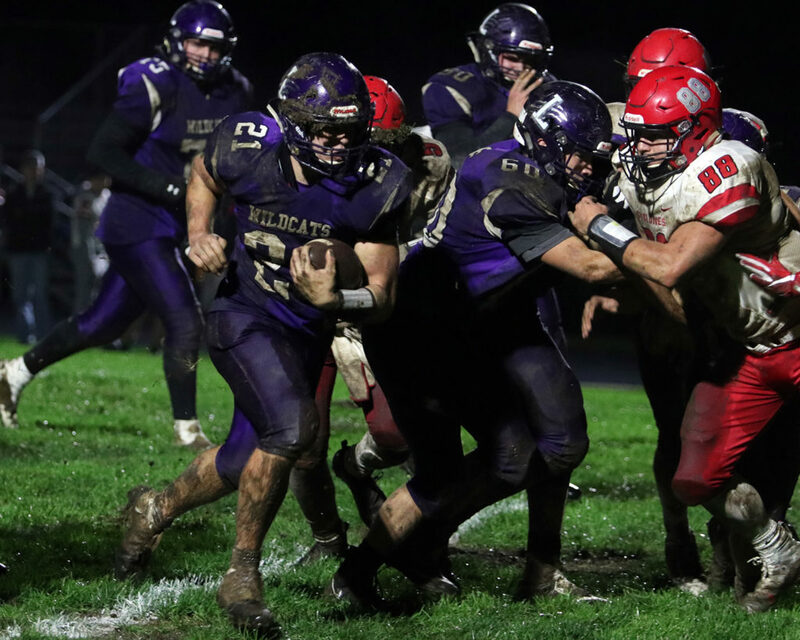 Still, the Wildcats have plenty of depth at the running back position with seniors Blue Caplinger and Brayden Gage, who have been big contributors all season. Quarterback Madden Rutherford has been a steady presence for Louisburg as he has thrown for almost 1,100 yards and 14 touchdowns. He also has four more scores on the ground. However for the Wildcats to be effective, it all starts up front with a veteran offensive line of Kiefer Tucker, Brayden White, Noah Larson, Garrett Harding and Jonathan DePriest. “The play on the line is going to be huge,” White said. “We need to be able to have a run game and we need to be able to mix it up a little with the pass too. But the run game is going to be big for us, especially in the wet, soggy grass. The Wildcats are hoping for a big crowd tonight at Wildcat Stadium, similar to the one they saw in Paola when they captured the Frontier League crown less than a month ago. “Our community has been so supportive this season and their support at every home game is very much appreciated,” Ebenstein said. “Looking up and seeing those bleachers packed every home game is just a reminder of how amazing this community is and how much this school and team is supported. It is that underdog mentality that the Wildcats hope to use in their favor tonight against the highly-favored Stags. “Honestly I think every coach and every player on our team believes we will win this game,” Ebenstein said. 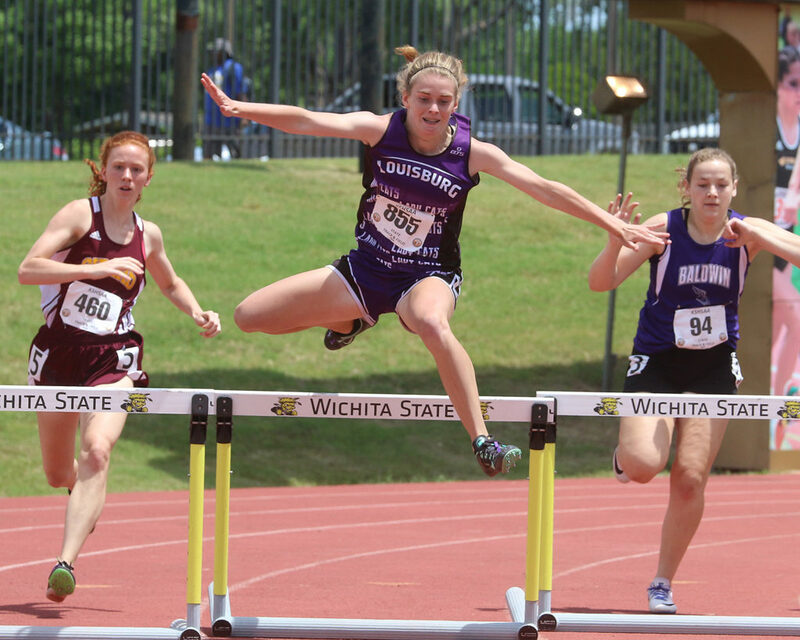 “Miege is an amazing team, and their track record proves they are, and have been one of the best teams in the state of Kansas over the past five years. The good news is we don’t have to beat them every week, we only have to beat them this week.